Named for the upscale neighborhood in Mexico City, not the Marlins' utility infielder, Polanco is a 160-seat Latin steakhouse serving genuine cuts of Bordelaise braised beef and al pastor pork to go with 50 tequilas and mezcals. 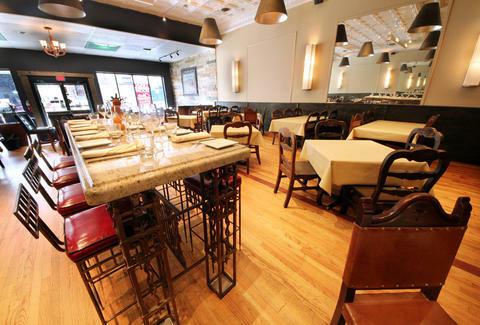 The former space of Real Tenochtitlan belongs to Cesar Reyes, a veteran chef of Park Grill, Chicago Firehouse, and Zapatista, who's also the youngest of 15 children in a family of butchers. 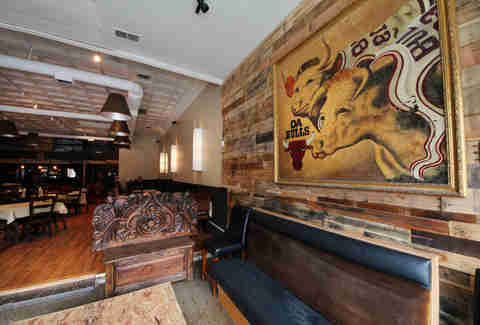 The walls of the waiting area are decked with repurposed wood and this Chicago-meets-Mexico bulls artwork, which gives way to the main dining area and its eight-seat chef's table in the back near the bar. Perfect for Boozers. 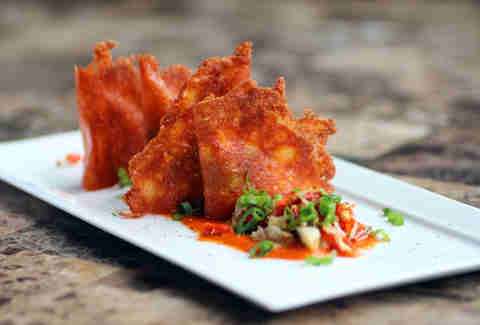 You can do a lot with pork rinds, like frying them and filling them with firecracker shrimp to make these Chicharron de Camaron with tangy salsa roja and pickled pepper relish. 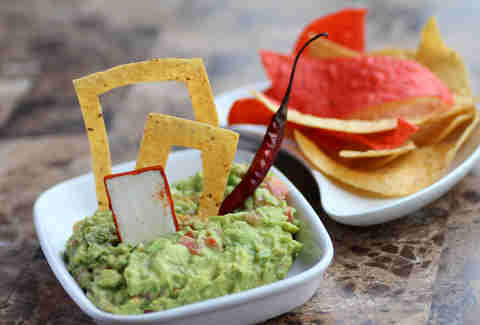 Their twist on guacamole brings in serrano peppers (back off, Pedro, this is Placido's house!) and a little queso fresco covered in paprika. 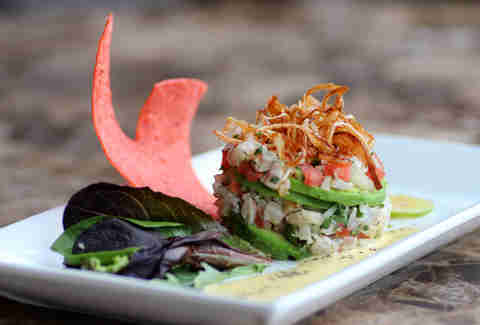 Their ceviche combines citrus-marinated market fish (red snapper in this case), tomato, cilantro, and onion. 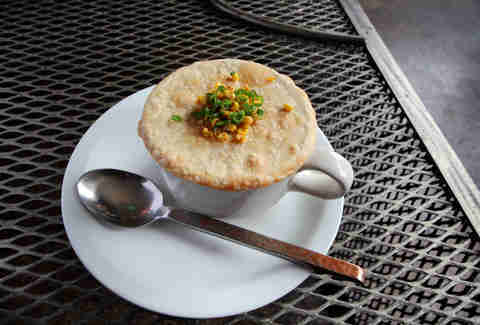 The selection of soups includes Spanish onion or this corn bisque with chile de arbol covered in a puff pastry crust. Sometimes there's nothing wrong with a puff piece. 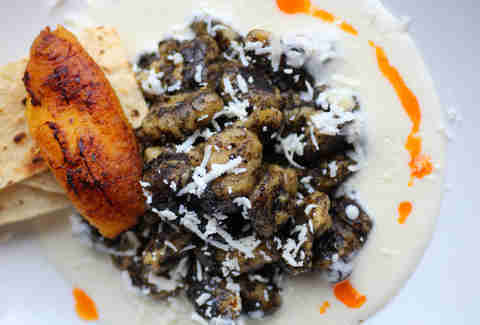 This sweet plantain-infused gnocchi comes with Mexican truffles and a creamy wine sauce. 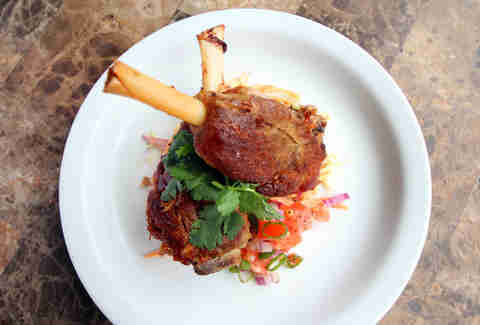 On-the-bone pork carnitas "wings" are sided with a little carrot and radish salad that has a strong chance of being ignored, because, pork wings! 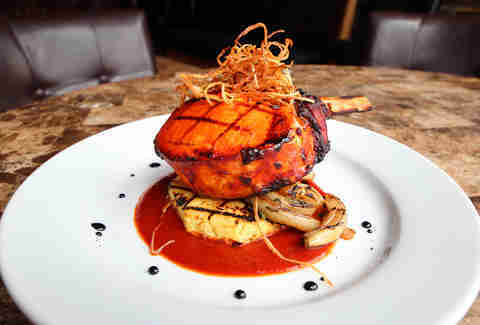 However, those are just a bit of porcine foreplay (easy, Kermit) compared to this double-cut pork chop al pastor over grilled pineapple with white cabbage and guajillo sauce. 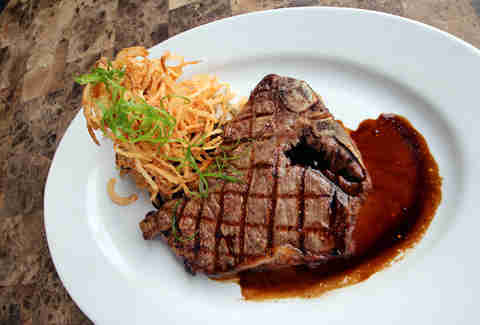 Steaks come with any of four sauces: chimichurri, chile morita, herb citrus, or Bordelaise, as seen on this 16oz “Huesote”, aka T-Bone, kicked with crisped onions. He's also conducting monthly classes where students will accompany him to the Logan Square farmers market and then come back to the restaurant. To cook, not to meet a certain journeyman infielder with an impressive .299 career batting average.